We're both excited and nervous to watch "The Late Show with David Letterman" next Tuesday. 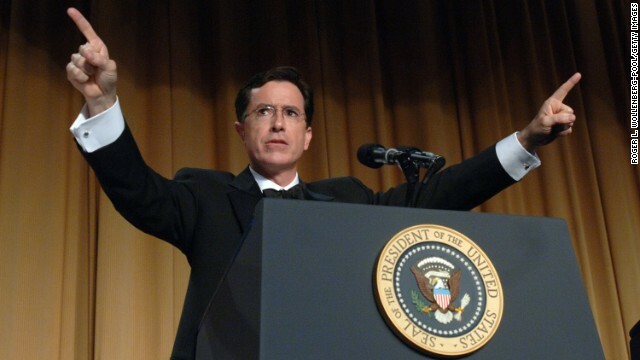 Stephen Colbert is going to be on the talk show for the first time since it was announced he'll be taking over the CBS show after Letterman retires in 2015. As if Mother's Day isn't already fraught with anxiety - so much pressure to find the right gift and master brunch! - NBC is turning it into a horror show. The network will air the first part of the four-part miniseries, which stars Zoe Saldana as the ill-fated Rosemary, on May 11. « Previous entry'Fargo' comes to TV: Should you watch?